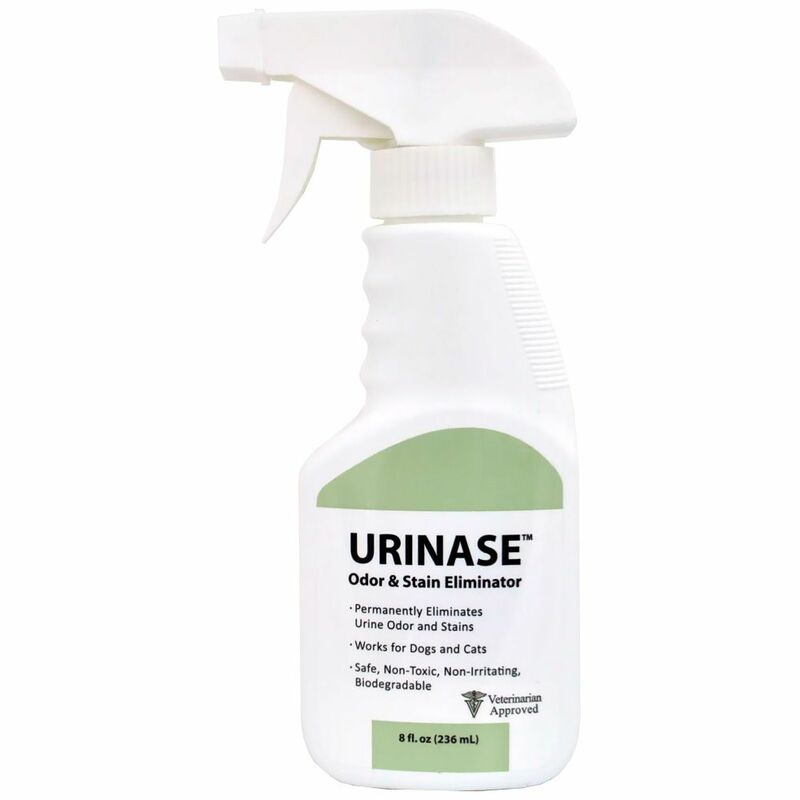 URINASE™ Odor and Stain Eliminator is a triple-action formula made from a proprietary blend that works on the molecular level to absorb, counteract and neutralize malodor. There is no need to pre-treat affected areas before applying Urinase. Unlike enzymatic products, URINASE is effective after soaps and detergents have been used. Remove excess urine by wiping or another method. Apply to affected area; let dry. Tips for best results: Use liberal amount (1 to 1 ratio of Urinase to pet urine) to ensure contact with all affected area. This ensures contact with all odor molecules. Spot test before using. 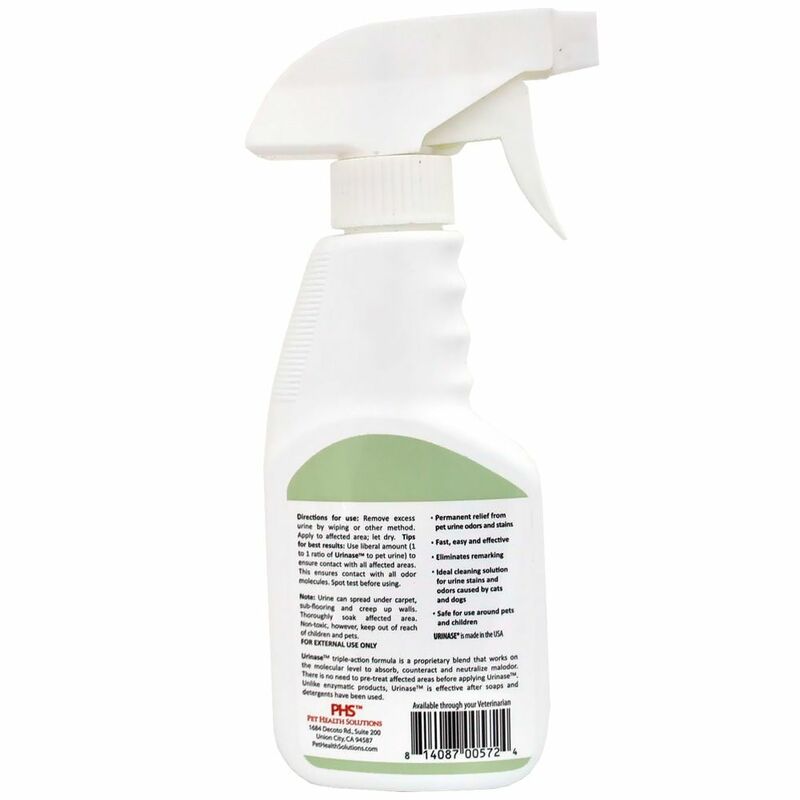 Applications: Urinase Enzymatic eliminates types of spots and odors such as urine, vomit, feces, grease, blood, etc. Urinase Enzymatic works best on carpeting, hard surface flooring, furniture and upholstery, bedding crates, carriers and cages, kennels, dog runs, horse trailers, stables, marking areas, litter boxes, cars and trucks and other areas where stubborn spots and odors reside. Also aids in housebreaking pets by eliminating the residual odors that 'trigger' marking instincts.